Once upon a time I drove a Jeep Wrangler and a Cherokee across the Rockies. That was the real Rockies. The ones out there in Americaland. It was part of a trip organised by Jeep for a group of motoring journalists and we drove the Ouray Trail. At times, we were driving through mountain passes over 12,000 feet high and there were still peaks towering over us some 2,000 feet higher. Kind of puts Ben Nevis in the shade, eh? Conditions ranged from bright, but cold, sunshine to grey skies and snow flurries. As for the route, it crossed a variety of terrains using old mining roads and what looked like mule tracks, with thick ice encrusted ledges above terrifying drops and some clambering over and through rock gullies. Health & Safety would have a fit these days at the conditions a bunch of UK greenhorns experienced back then. No training and no practice, instead it was a case of, ‘Here’s a Guide in a Jeep – follow him!’ Marvellous. That was over 20 years ago, but the Jeep products then were much different from Jeep products now. Back then the company was owned by Chrsyler and Jeep did its own thing with girders and cast iron, then Fiat moved in and the company, like so many other vehicle manufacturers changed and adapted and started sharing ‘platforms’. That’s not to say the current range of Jeep products is any less tough or capable, but they are different. Take the new Compass for instance. 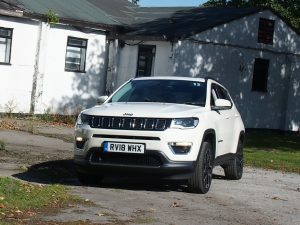 It looks very much like other modern compact SUVs and is packed full of electronic trickery which makes the most of the all wheel drive system as opposed to the previous generation of ‘pick a gear, hope for the best and have a go’ off-roaders. 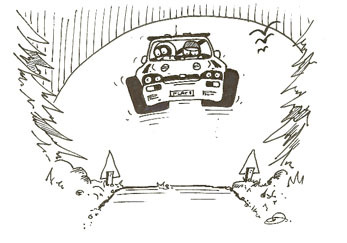 It may be called progress but it has taken much of the skill, the drama and the fear out of driving off-road. 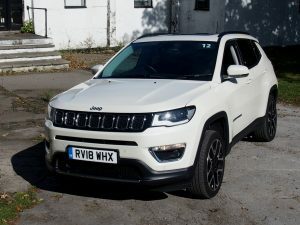 Although I didn’t get to try it off road, Jeep has a reputation and heritage to protect and to that end the specification looks quite impressive. Up front MacPherson struts control the front wheels while at the rear, Chapman struts are used on an ‘isolated’ steel cradle for the 4WD version but the 2WD has a ‘non isolated’ cradle. The isolated cradle set-up allows much more rear wheel articulation for when the going gets even tougher. That should please fans of the brand who may be concerned that its go anywhere image suffers. Making the most of this off-road capability is a 6 spd manual ‘box with Jeep’s ‘4WD Active Drive with Selec-terrain’. Which brings us back to the electronic trickery bit. 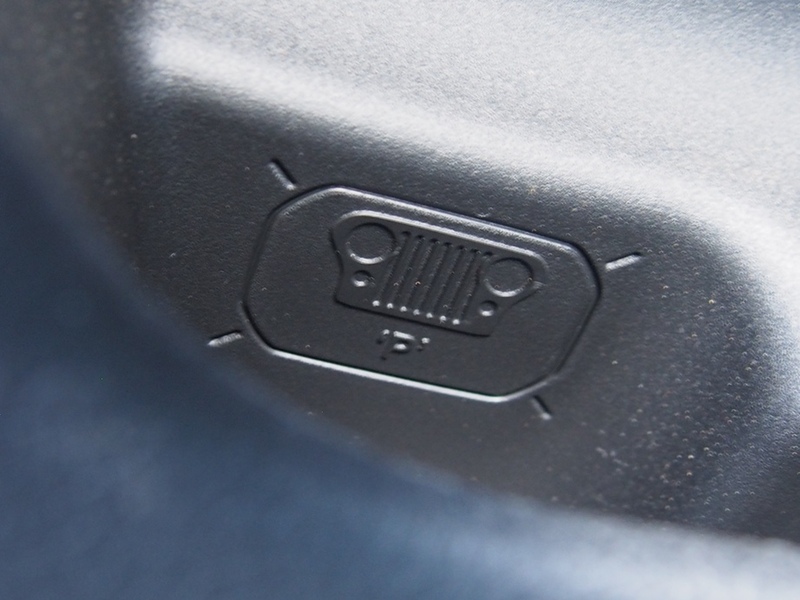 With Fiat Chrysler support, Jeep has embraced the control and added sophistication that such electronic control can bring. In this case, even a rock climbing rookie will be made to look like an expert. There’s no big petrol engine under the bonnet either, instead a modest 138 bhp four cylinder diesel lump does the business which copes well enough with the 1.5 tonne vehicle. There is however one other thing that Fiat Chrysler have left alone, and that is Jeep’s sense of fun. If you haven’t heard of the ‘Easter Egg Hunt’ you will now. 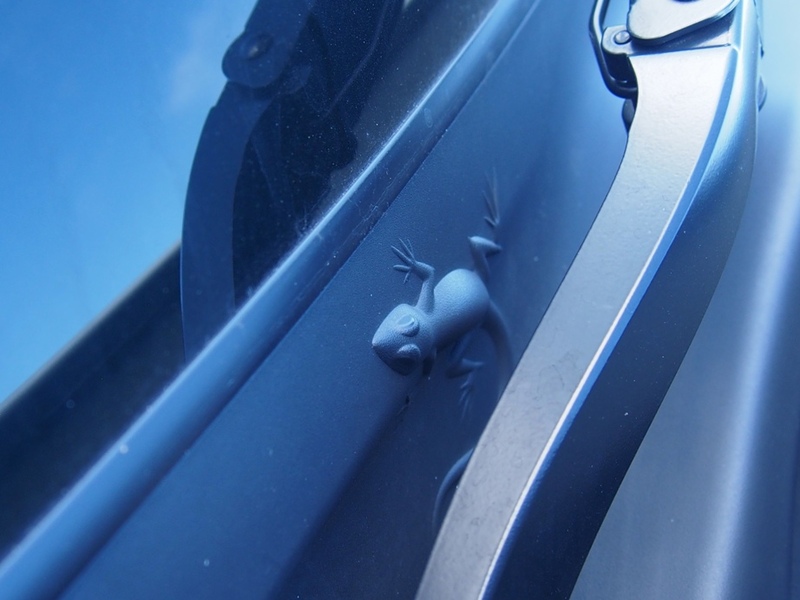 Hidden in and around the Jeep Compass are a number of symbols and cartoons. A few of them have been made to be easy to spot and one wonders if that was deliberate ploy by some cruel sadistic adult mind. Having found the easy ones it only makes you want to search out the more difficult ones. There is however one drawback to that, the rotters don’t tell you how many there are in total so you never know if you’ve got them all or not. There could be up to 30 and as many as 40 hidden in nooks and crannies around, under and inside the vehicle. 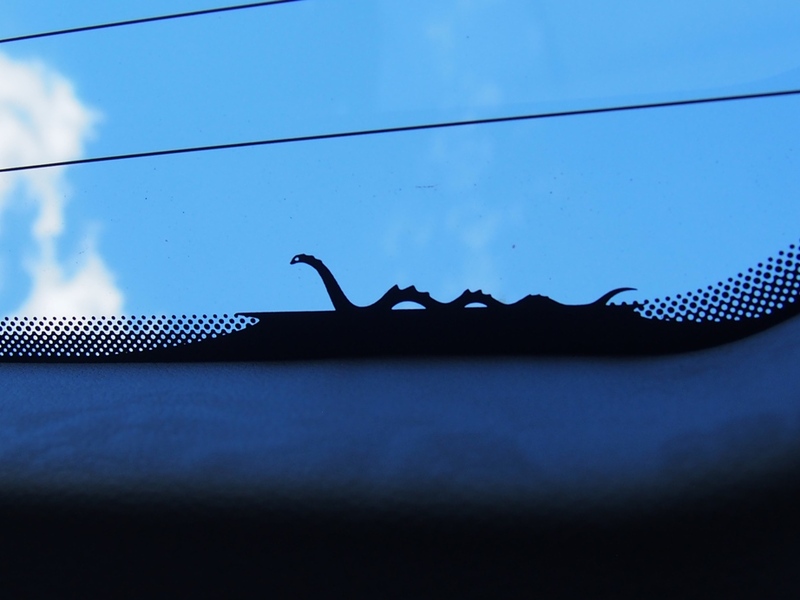 Just for starters there are pictures here of three which I found (Nessie, Jeep grille and lizard), but I won’t tell you where! And a word of warning, dinnae try to leave your weans in a Jeep showroom to go on an Easter Egg hunt amongst the new vehicles while you go off shopping! Most of the dealers are wise to that. 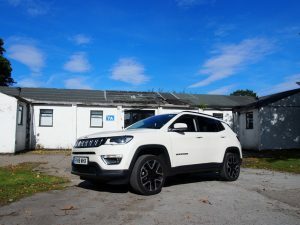 The base price of the 2 litre diesel is £31,495 but the test car had quite a few extras added including HID headlamps, power tailgate, ventilated front seats, a panoramic sunroof and a gooseneck towing hitch. Towing limit isn’t too bad for a modest sized SUV at 1900 kgs. Whatever, the result is a smart looking, comfortable mid-week school run commuter and capable weekend warrior – with that little added something to keep the younger kids amused for hours. Sounds like it would do me just as well.